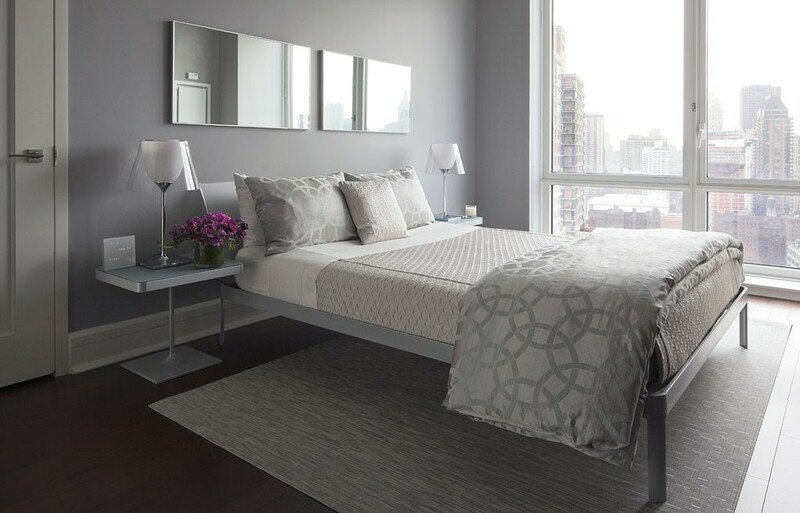 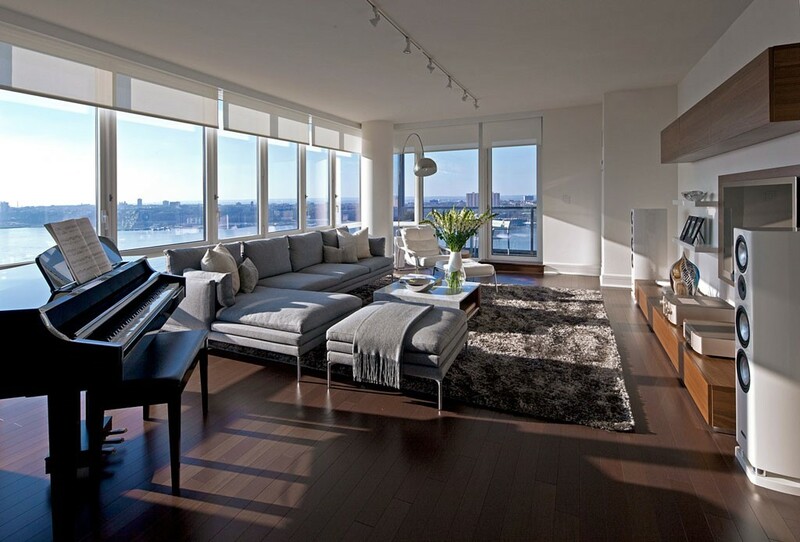 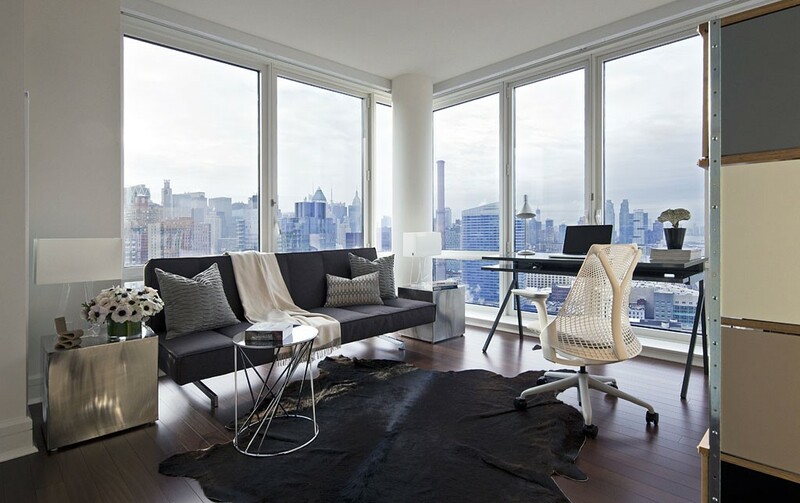 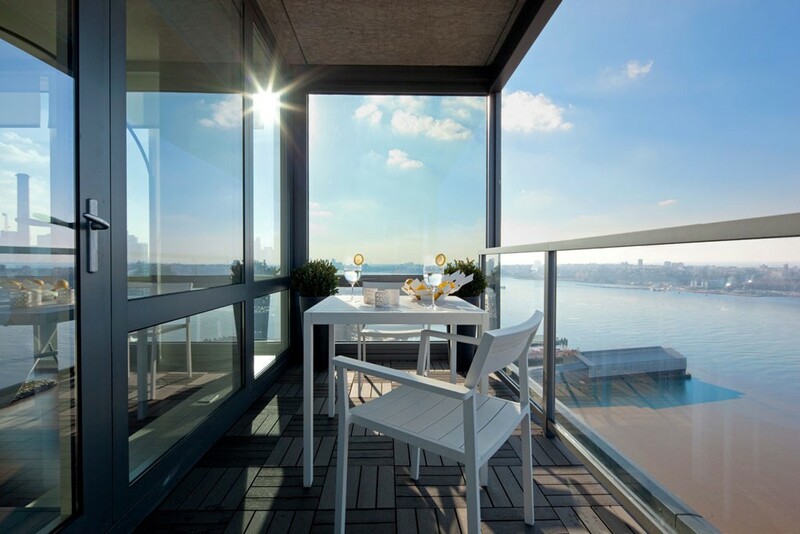 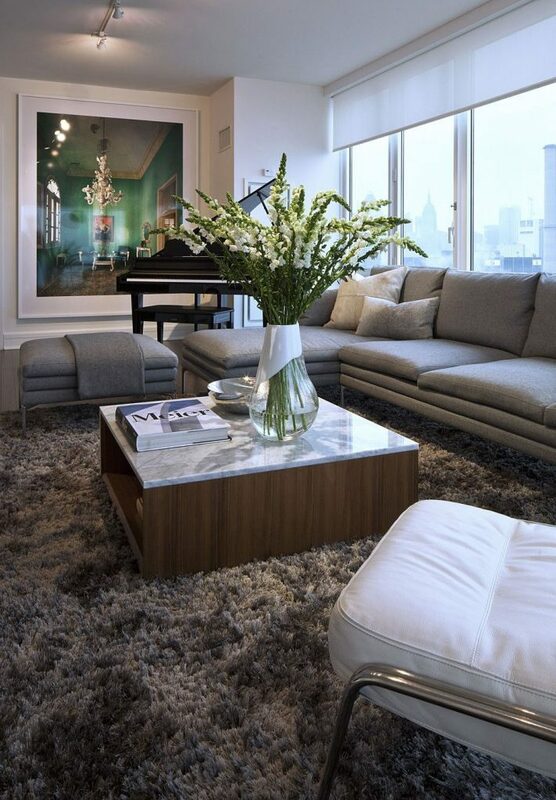 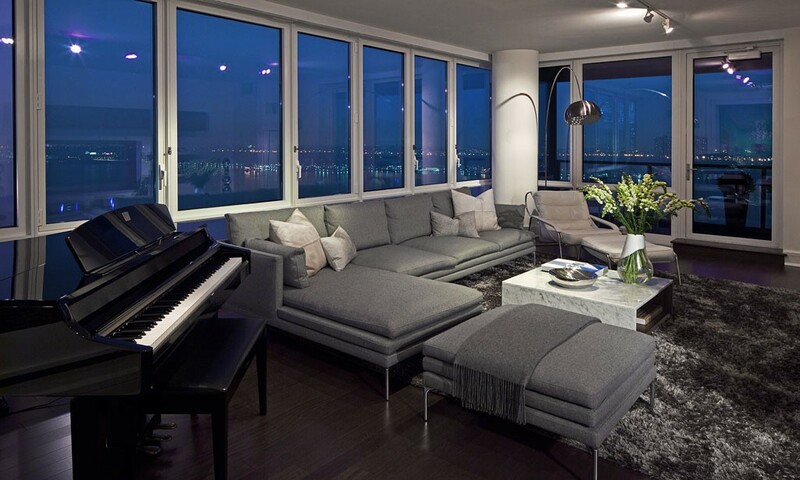 This New York City apartment featured floor-to-ceiling windows with sweeping views of Manhattan and the Hudson River. 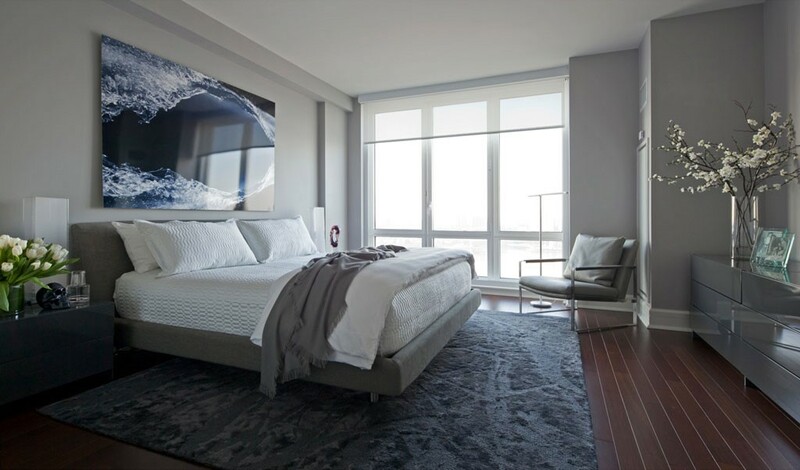 Our challenge was to take advantage of the dramatic vistas while fulfilling our client’s desire for an interior that was minimalist, modern, and sophisticated while at the same time warm and inviting. 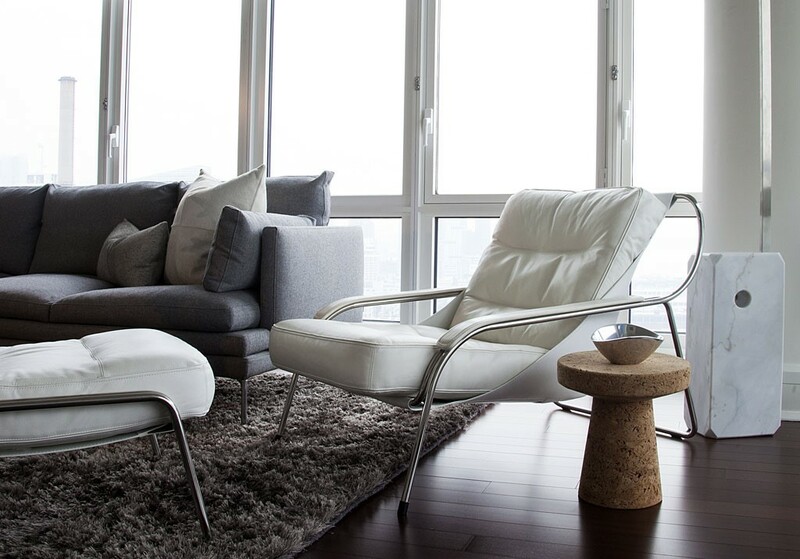 We chose a grey palette for the living room, and anchored it with a Zanotta sofa, a marble and wood coffee table by Ligne Roset, and a white leather chair and ottoman by Marco Zanuso. 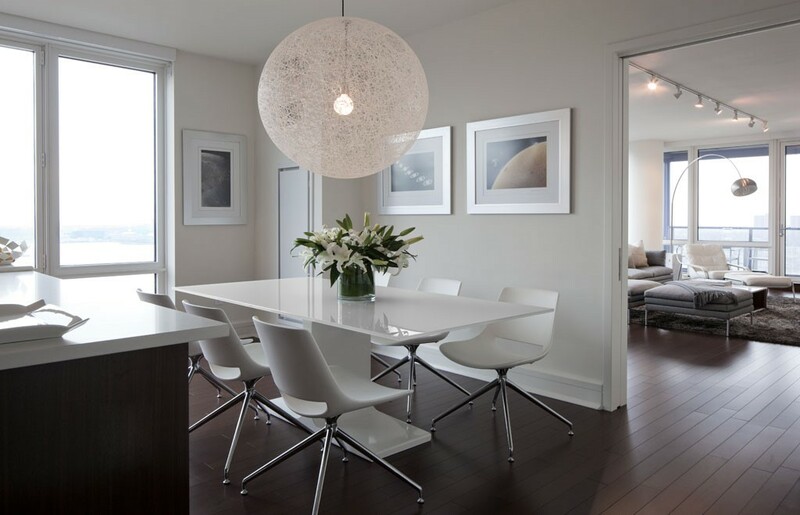 Marcel Wanders’ Moooi “Random” pendant lamp gives the dining & kitchen area an open, fun feeling. 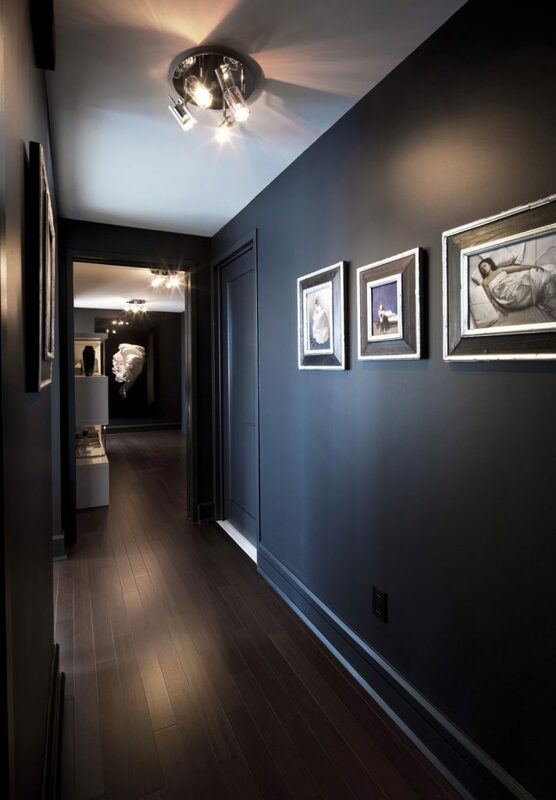 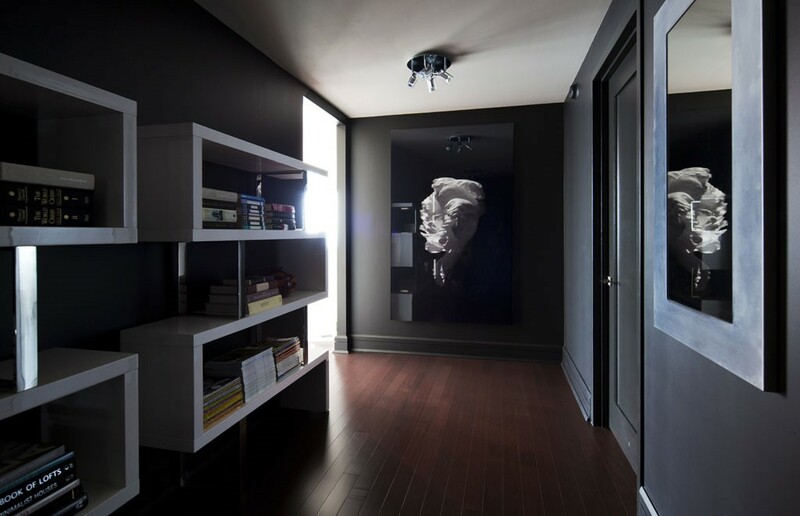 In the hallways, where the client wished to hang some engaging artwork, we took a page from The Rolling Stones and “painted them black” to make the canvases pop.